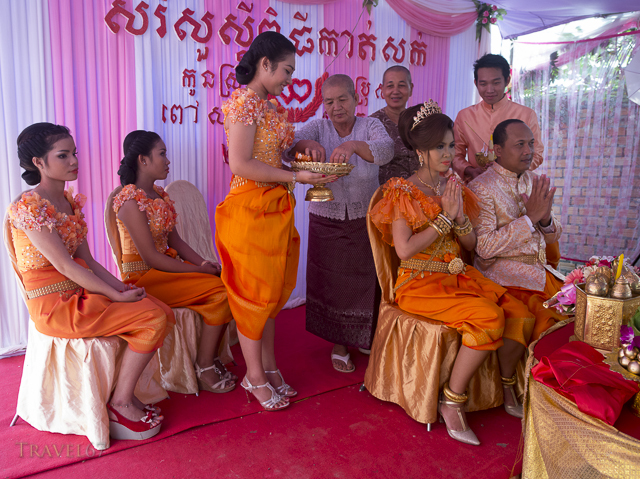 After the western style dress and suit, the bride and groom changed into the first of many traditional Khmer outfits. 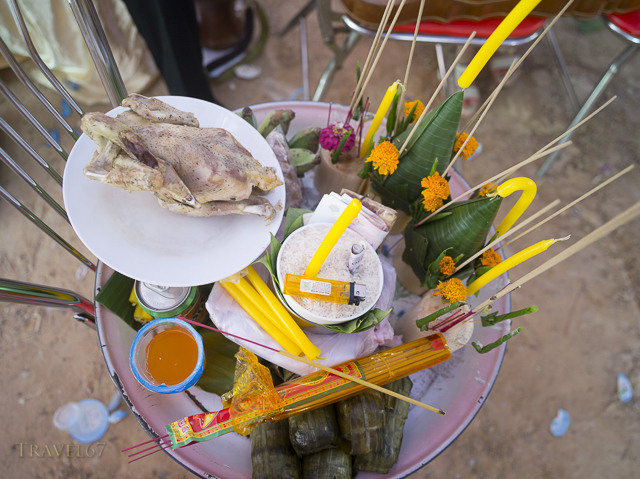 I’ve been to Japanese weddings where there were three outfits ( a traditional kimono, then a white wedding dress, then a western dress), but at the Cambodian wedding, over the two days, there were close to twenty. After the hotel, events took place at the family home. Tents had been erected outside for the ceremony and there were various offerings to the gods. Part of the ceremony involved close family members giving the bride and groom a haircut. They’d snip away, without actually cutting the hair, then show the bride and groom the result in a little mirror. After another change in clothing, monks arrived and more prayers and offerings were given. After dinner, everyone went home to rest, as the second day of celebrations would begin at dawn.